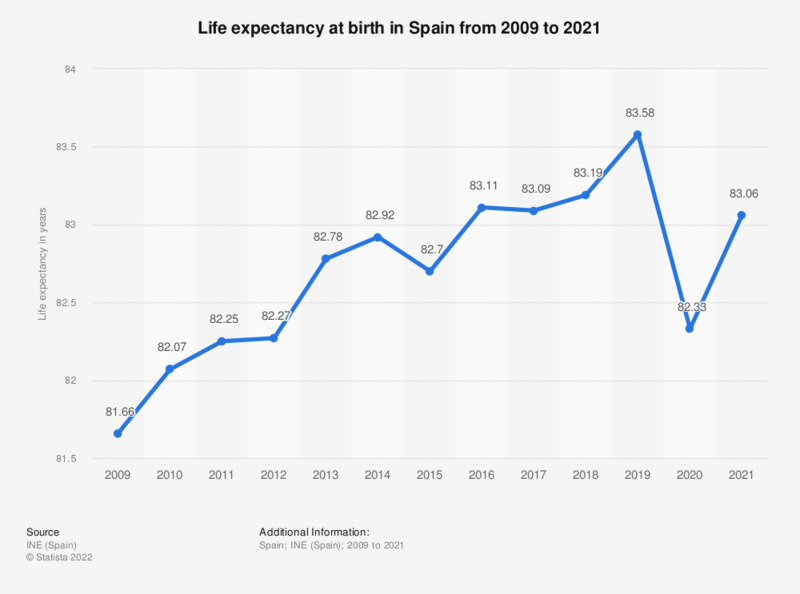 This statistic displays the life expectancy at birth in Spain from 2009 to 2017. Life expectancy in Spain has been steadily increasing throughout the period of time under consideration, and stood at approximately 83 years in 2017. Population in Spain has also been analyzed by birth rate and fertility rate, with figures showing an average of 1.3 children per woman in 2017.